Where did the idea for a Batman character originate? Right: First Announcement of Batman Character by DC Comics in April 1939. The first Batman drawings were created by Frank D. Foster II in 1932. This was the year he finished attending Mass Art School in Boston and married Ruth Hardy. Classmate Al Capp asked Frank to collaborate with him to help draw a hill-billy cartoon strip he would call "Lil Abner". Capp interested Frank in creating cartoon characters, but Frank wasn't impressed with the hill-billy idea idea and decided to pursue the idea of a new super hero. The first ever and only hero of the night. "Batman". A costumed ordinary mortal is in itself an unusual feature for a super hero. Similarities of Kane’s Batman and Frank Foster’s are obvious. Small ear stubs...Note that most bats have very large ears. A masked and costumed dual identity super hero. An ordinary mortal with no special powers. While this feature is not 100% unique, it was uncommon for super heros. However this atypical feature is common to both Frank Foster's Batman and Bob Kane's. Hero of the night. This was a key feature of Frank Foster's Batman which he expressed often. Never before was there a hero who did his good deeds exclusively at night. This feature is 100% uniquely created by Frank Foster. A heroic bat-themed character. There was never a bat-themed character who was a good guy. This 100% unique and brilliantly creative and surprising feature is probably a primary reason that accounts for the amazing success of the Batman character. Bats and bat characters have always been associated with evil such as Dracula and vampires etc. It is the unexpected that intrigues and interests the viewer. This important unique feature was created entirely by Frank Foster. "Batman" .. The name .. Never before 1932 was there ever a character named "Batman". This is 100% unique to Frank Foster's creation. These unique features created by Frank Foster were all employed in Bob Kane's Batman and still remain in effect today. 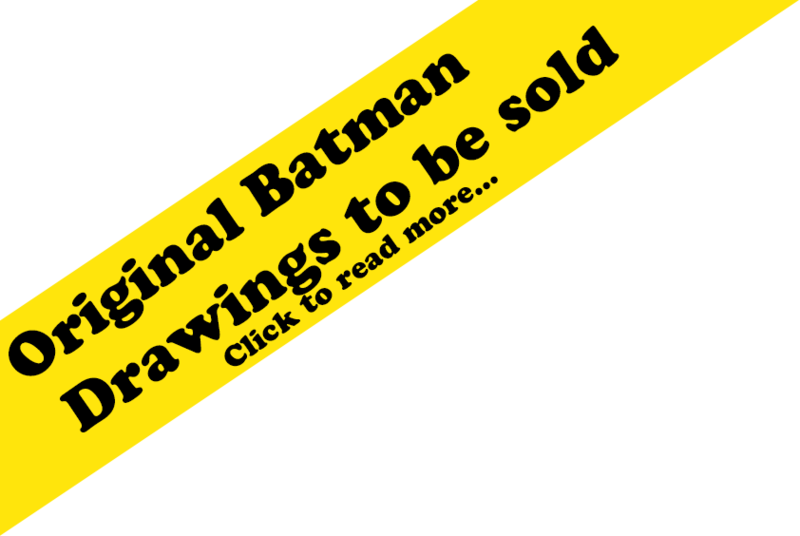 Above is a 2004 unedited video interview of Ruth Foster, Frank Foster II's wife at age 97 recalling the time of her husband's creation and attempts to sell his drawings and the original Batman idea.